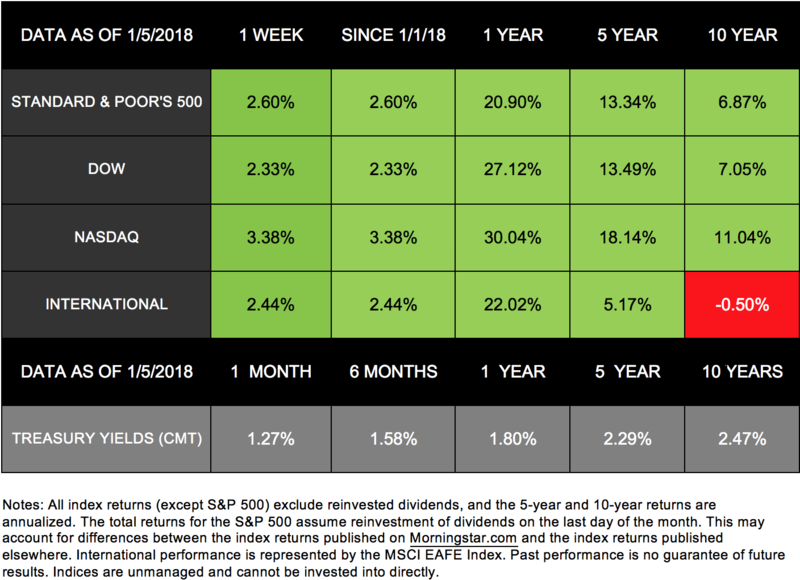 After 4 straight weeks of gains, the markets have slipped. As of Friday, the S&P 500 lost 3.85%, the Dow dropped 4.12%, and the NASDAQ decreased by 3.53%. International stocks in the MSCI EAFE also took a 2.78% hit. Domestically, the losses spanned sectors and asset classes. For the S&P 500, all 11 of the index’s industries lost ground last week. 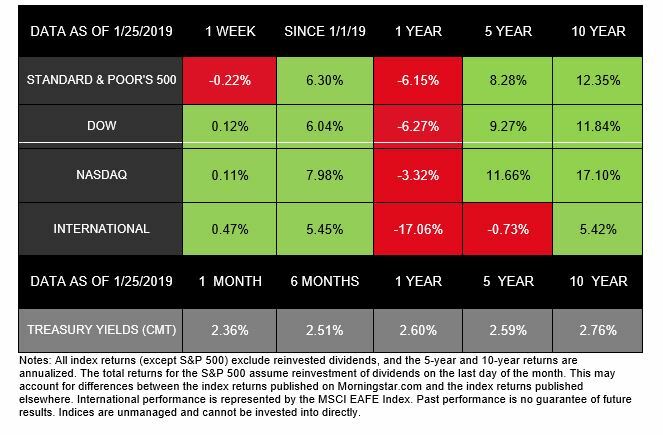 This decline came after the S&P 500 had its best January performance in over 20 years. 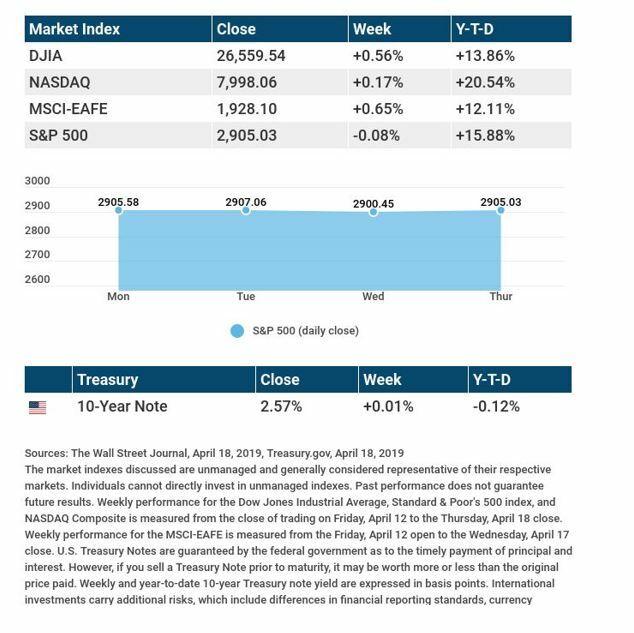 Looking at the markets’ sizable losses, you might expect that discouraging economic data came out last week—or some geopolitical drama spooked investors. On the contrary, the drops came in response to news that seems positive on the surface: Job and wage growth are picking up. On Friday, the Bureau of Labor Statistics reported that we added 200,000 new jobs in January and beat expectations. Average hourly wages also increased, bringing 2.9% growth in the past 12 months—the largest rise since 2008–2009. Concerns about inflation are fueling this reaction. As wages grow, companies may increase their prices to support their rising labor costs—contributing to an inflationary cycle. With inflation can come rising interest rates. 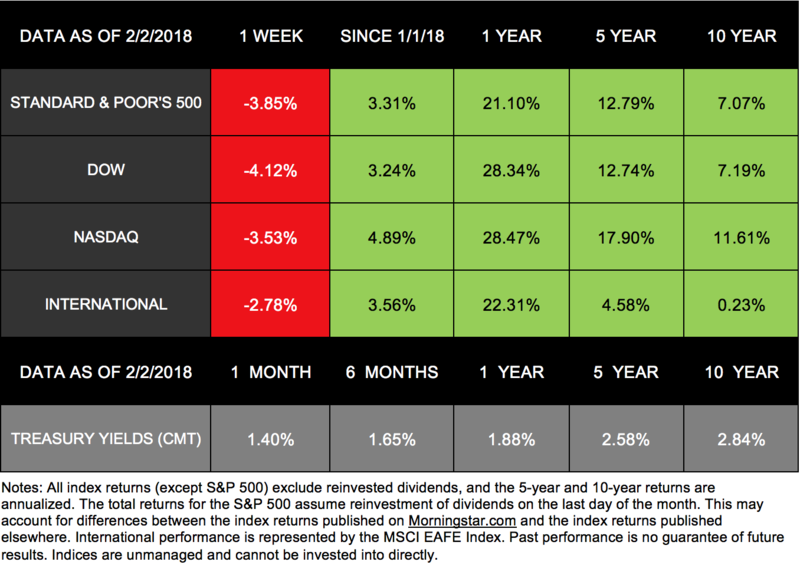 After the unusually calm market environment we experienced in 2017, last week’s declines may feel unsettling. However, price fluctuations are normal and the economy continues to be strong. 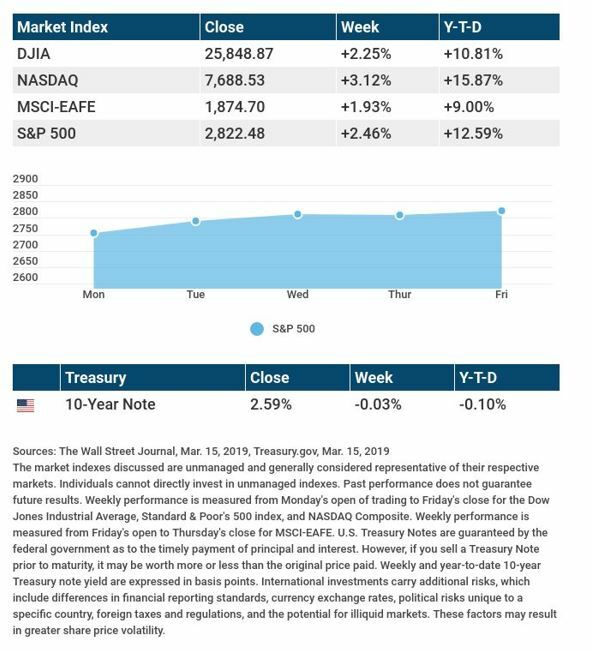 A variety of factors affected the markets last week—from tax reform to commodity prices. Interestingly, considering the indexes’ positive performance, one of the biggest economic headlines seemed to provide negative data: The U.S. economy added fewer jobs than anticipated. On the surface, this report may seem like bad news for the economy. The missed projection, however, is likely less of a big deal than it appears at first. While hiring was lower than expected, wages picked up and the unemployment rate remained at 4.1%—the lowest rate since 2000. Ultimately, this jobs report may be positive news for the markets. It shows that the economy is still adding jobs but not at a blistering pace. As a result, slower job growth could keep the Federal Reserve from raising interest rates too aggressively. Cleveland Fed President Loretta Mester said she believes, “We’re basically at maximum employment from the view of monetary policy.” She anticipates 3 to 4 rate increases this year. If the Fed continues with its gradual rate increases, this move could have a favorable affect on stocks.